In the time that I posted my last, I’ve taken TWO classes from Graham Combat and they’ve completely changed the way I’ve looked at the world and the way that I carry myself in daily life. If you ever get the chance to take one of his courses scrape up the cash and figure out a way to do it. In the meantime, go subscribe to his youtube channel. I also took a class from Dark Angel Medical. Medical training, I believe, is second only to mindset training. You’re way more likely to use a tourniquet than a pistol in your life. Shooting classes are fun, no doubt, but I’d highly suggest some sort of advanced medical class beyond your basic Red Cross first aid/CPR. 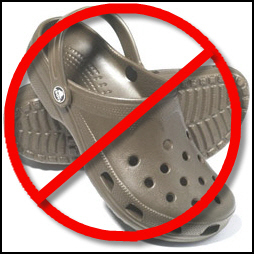 I’ve also bowed to pressure from my friends and retired my camping Crocs. I’ve now transitioned to Chaco sandals. They’re insanely comfortable and while my wife keeps making fun of me, I don’t care. I have 4 kids and drive a tactical Toyota minivan. What do I have to prove anymore? I embrace my dirty hippy side sometimes. After all, who expects the dude in the Chacos and the DMB t-shirt to be appendix carrying a G19? Speaking of appendix carry, yeah, I get it. It’s not for everyone but if you are one of those who enjoy it, the two best holsters I’ve found are the 5 Shot Leather SME made by my friend John Ralston and the JM Custom Kydex AIWB. They’re both fantastic, just depends on your leather/kydex preference. I’m planning on being around a lot more. I have a lot of crazy stuff floating around in my head that needs to be put to paper. I was recently introduced to the teachings of Matt Graham from Graham Combat and am very exciting to be training with him this summer. He offers a very unique viewpoint on personal protection and personal safety. Check him out – http://www.grahamtradecraft.com/. I like knives. I like big knives, small knives, tactical knives, and traditional knives. For the past year I’ve been pretty religiously carrying an Emerson CQC-7V. I like the 7V because of the V grind as opposed to the standard Emerson chisel grind. It’s easier to use and easier to sharpen. Lately though, I’ve been gravitating more towards smaller and lighter knives as I streamline my daily carry. 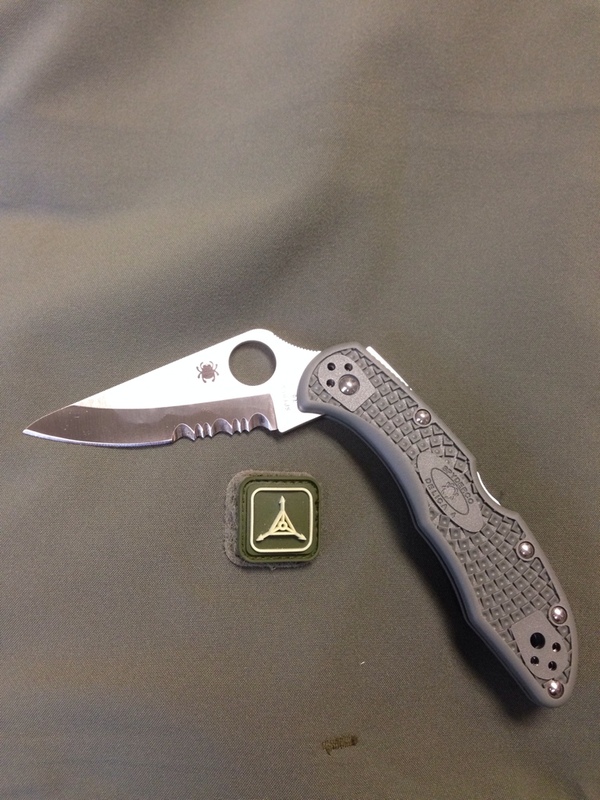 To this end, I picked up a Spyderco Delica4. It’s light, thin, sharp, tough, and inexpensive. What’s not to like? It carries like there is nothing there, it doesn’t scare people when I pull it out of my pocket, and it’s a very useful tool. 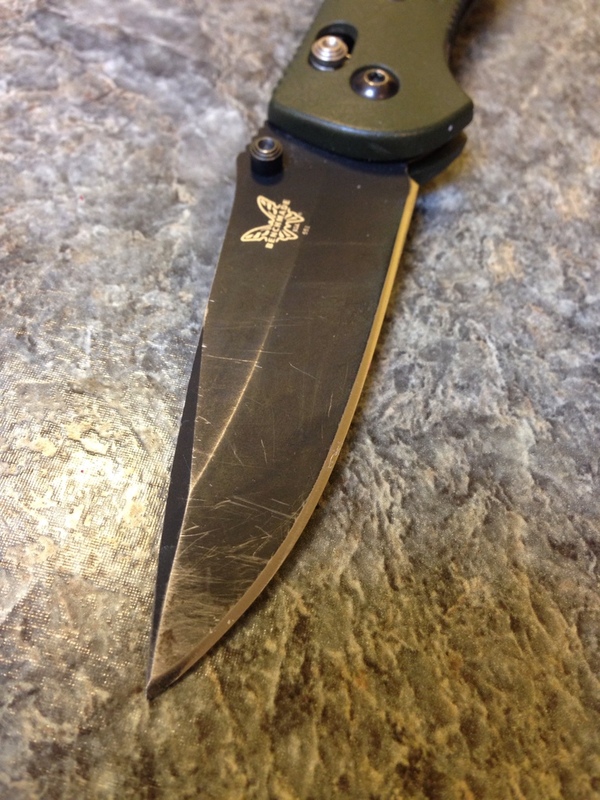 The other one that I’ve been carrying lately while working one of my moonlighting jobs is this Benchmade Griptillian. It’s made in the USA and is basically the Glock of pocket knives. You see that edge? I didn’t do that. Albert at Seattle Edge did that. He’s a master at sharpening knives and turns them into little lightsabers. His prices are very reasonable and his turnaround time is quick. I highly recommend him. This is a very clear and concise summary of what we should all strive to do. Out with the old, in with the new. Hey! Bring back the old! 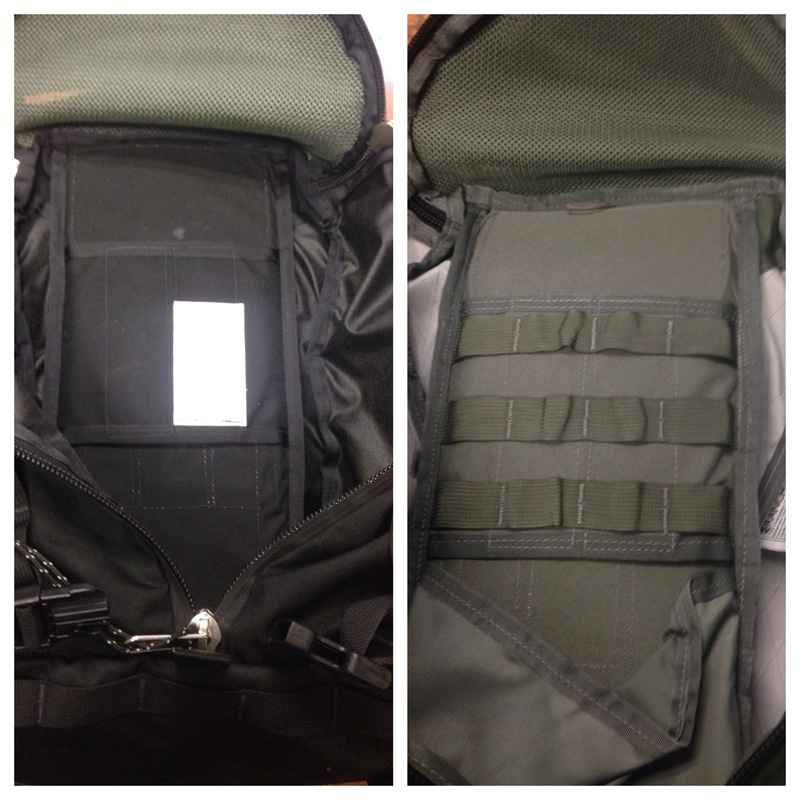 There are few more hotly contested items in the EDC/Outdoors world than packs. 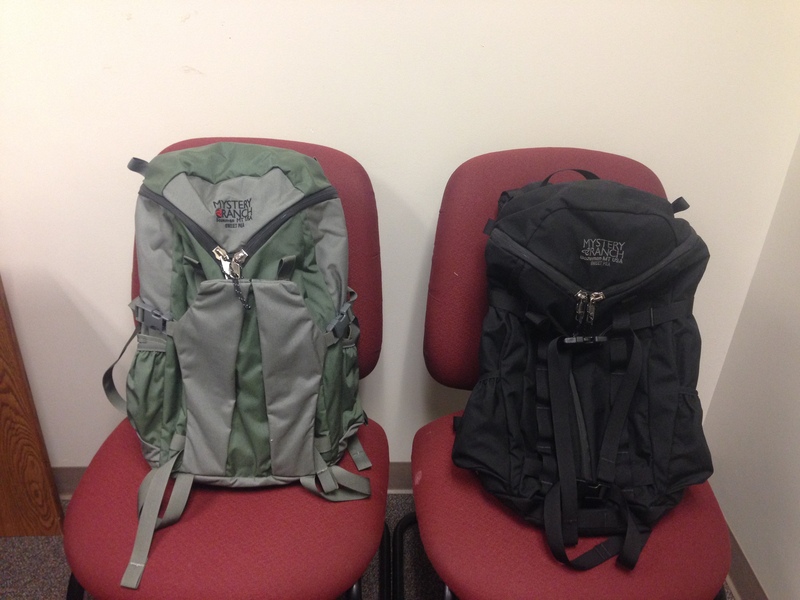 There are the budget/low end packs like The North Face and Jansport and then there are the “Tier One” pack makers. These include Mystery Ranch, Triple Aught Design, and GoRuck as well as many others. Sometimes they decide to make changes to time tested designs for whatever reason that don’t quite make much sense. The newest iteration of the Mystery Ranch Sweet Pea, arguably one of the very best single day packs made, is an shining example of this.I happened to have my hands on an older Sweet Pea (March ’13) and a new Sweet Pea (Jan ’14) and thought it would be a good idea to do a pictorial documentation of the major changes. First, the specs straight from MR. The older one is the Green/Grey and the newer one is the black one, for reference. 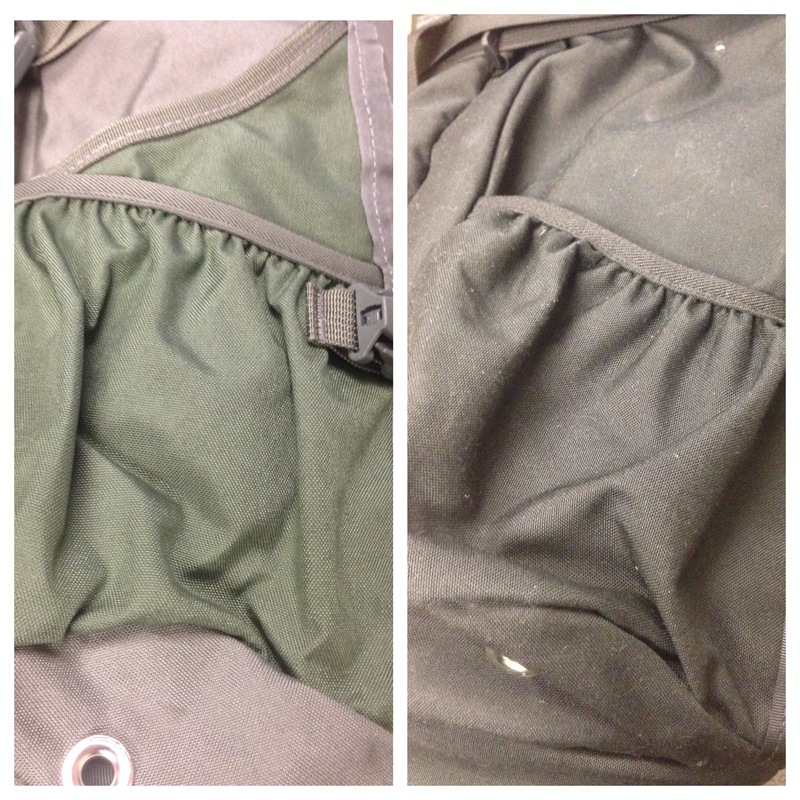 Change #1 – They got rid of the Stick-it pocket. Don’t worry though, they added some PALS webbing at the bottom so you can add your own Stick-it if you want…. for another $59 + shipping + tax. 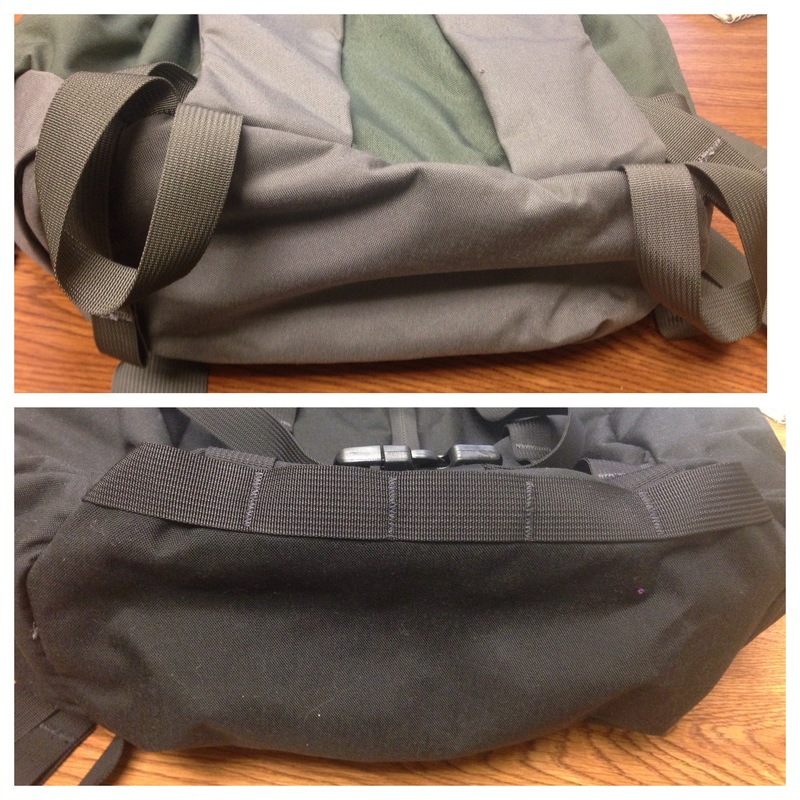 Change #2 – They got rid of the PALS webbing and the internal bladder hanger. Why? It makes no sense. Those PALS panels are a perfect place to put an admin pouch like the TAD OP1. Change #3 – They got rid of the pass throughs on the sides. Now, I’m not a skier, but I have some buddies who live and breath the slopes and I can definitely see why they’d like to mount their skis on the side and snowshoe up the hill. Getting rid of the pass throughs makes near impossible with this pack. You can still easily carry a 320z Nalgene in the outer side pocket, however. The one thing they should have changed but didn’t is that they still use these stupid buckles to attach their chest straps. They’re way too easy to break when you’re taking them on and off. 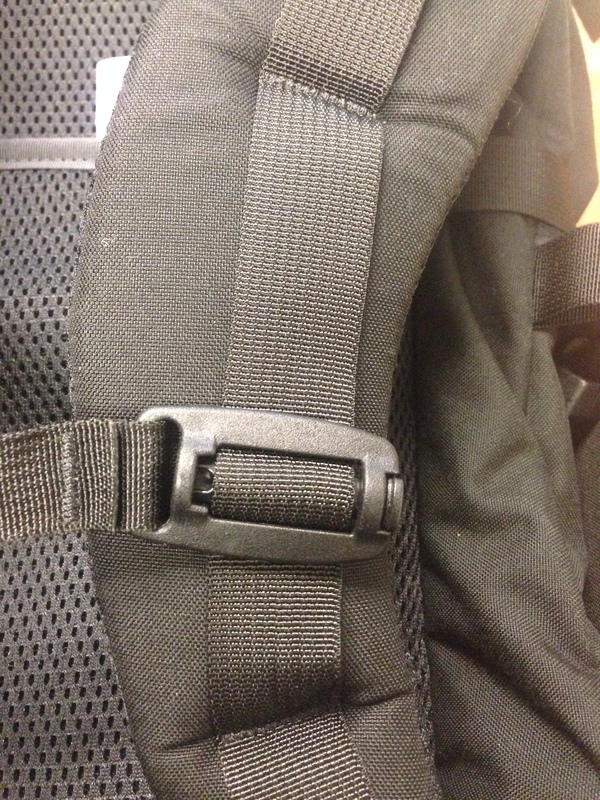 It would be much better if they used the replacement style webbing buckles instead of these. Don’t get me wrong. I’m not saying the newest version is all in all a bad pack. 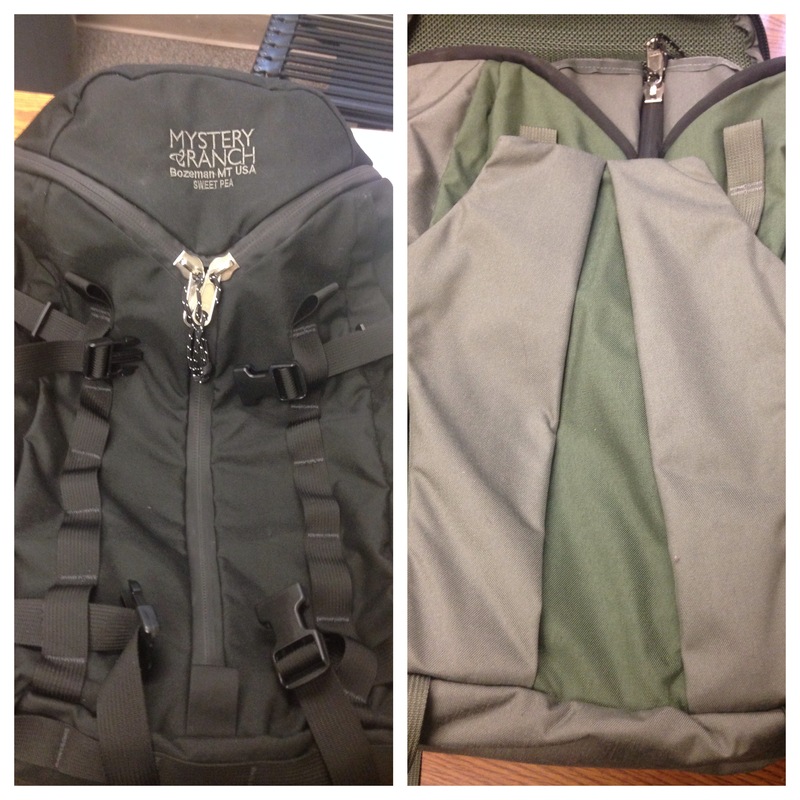 It’s still the same bombproof, Made in the USA quality that Mystery Ranch is known for. I’m just not quite sure why they made the changes they did. If I were you, and were in the market for a new pack this size, I’d search out an older model. They came up on the various forums and eBay from time to time. 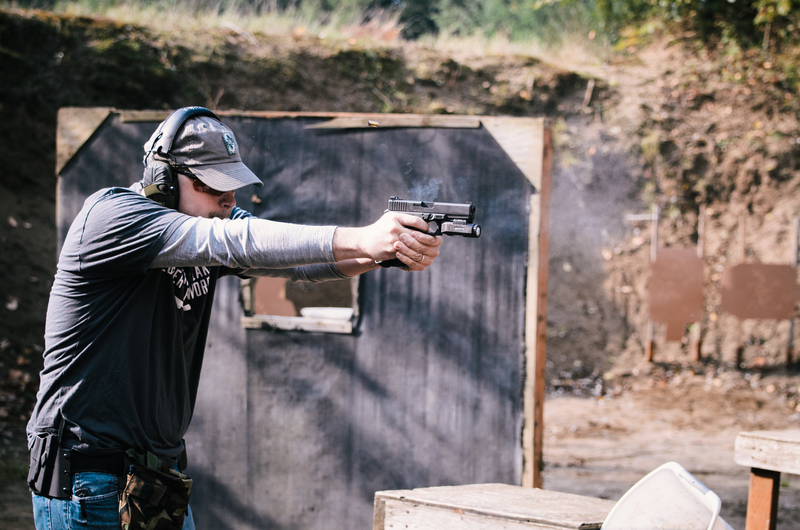 A little 3-Gun action at Custer Sportsman’s Club in Custer, WA.